Immediate access to medical care regardless of location is one of the key drivers for telemedicine. However telemedicine is no longer restricted to providing care for remotely located patients. In fact, it is now being adopted as part of mainstream health care anywhere a patient needs access to specialty care. Fortunately, communications technology is developing at a blistering pace. This boon comes at a time when the need to provide improved access to health care at a lower cost has dramatically changed the way healthcare professionals deliver care, and subsequent patient expectations. This technology growth applied to the ever-growing need for care is a major driving force behind the telemedicine revolution. Despite the decades-old history of telemedicine, clinics and practices have only recently embraced telemedicine as part of their daily operation instead of a separate practice. If the healthcare industry wants to maintain quality of care in a world affected by President Obama's healthcare law, leveraging telemedicine is the answer. If there was any doubt as to the mainstream viability of telemedicine in today's healthcare industry, it was assuaged at the recent American Telemedicine Association conference in Los Angeles. There, new ATA president Dr. Reed Tuckson stated in no uncertain terms that telemedicine was now the rule and not the exception. "What we are doing is at the heart of America's transformation in healthcare. We are celebrating that we are mainstream," he said, noting, "We are not going to be on the periphery anymore. We are center core." Tuckson bolstered his claim with promising telemedicine statistics, indicating that 2015 will see 800,000 online consultations in the U.S. - far from the only indication of telemedicine's growing popularity, but certainly a strong indicator. 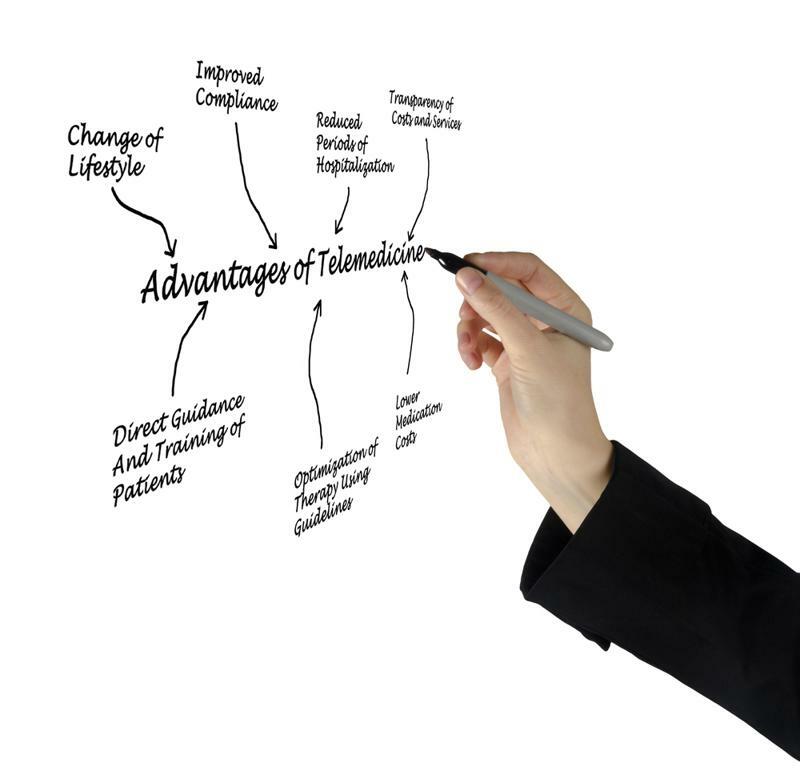 The many advantages of telemedicine have catapulted it into the mainstream. Telemedicine isn't a topic that patients are ambivalent about anymore. The awareness is there, and it's driving interest from both the patient and provider side. As patients become more aware of the services and devices that can be used to increase their access to specialty care, they want more! And in most cases, it allows them to get treated in their home communities instead of having to travel long distances to the closest metropolitan hospital. A recent survey from Software Advice showed that 71 percent of patients would "strongly" or "somewhat prefer" to seek care online for their minor medical issues rather than to go to an emergency room. "Telemedicine is becoming more common in practices." This is more than a convenience for patients - it helps clinics keep operating costs down without having to sacrifice quality of care. Telemedicine is becoming more common in practices. The National Health Policy Forum reported that this service is available in some capacity in half of the nation's hospitals, with around 3,500 service sites currently existing. The current state of the healthcare industry has created a perfect storm that is prime for telemedicine to continue to flourish. As the baby boomer population ages, increased need for specialist care and chronic health management is being created. This, coupled with the additional strain placed on the system by "Obamacare" means that there are more people in need of care without a corresponding growth in the number of providers. Telemedicine provides the solution to this problem. The telemedicine industry has expanded in big ways over the past couple of years thanks to the long-standing efforts of the American Telemedicine Association, regionalized Telemedicine Resource Centers and many individual telemedicine advocates. Many of the legislative barriers to growth have been mitigated as more states implement policies to help integrate telemedicine practice into the current national insurance structure. The 24 states, as well as the District of Columbia, that currently require some form of reimbursement for telemedicine procedures now provide windows into telemedicine practice for the rest of the nation to follow. Similarly, the ATA reported that almost every state Medicaid plan reimburses for telemedicine in some capacity. As more states join the "telemedicine reality," others will shortly follow behind in time. To learn more about how you can begin creating your own custom telemedicine program, visit www.amdtelemedicine.com.